I dont know what came over me, possibly being sent a link to another blog where this was made, or my dad discussing it with some one but I woke up Sunday morning craving Shakshuka. Shakshuka is basically eggs poached in a spicey tomato relish. Some people break them in whole, others scramble everything together. 2. 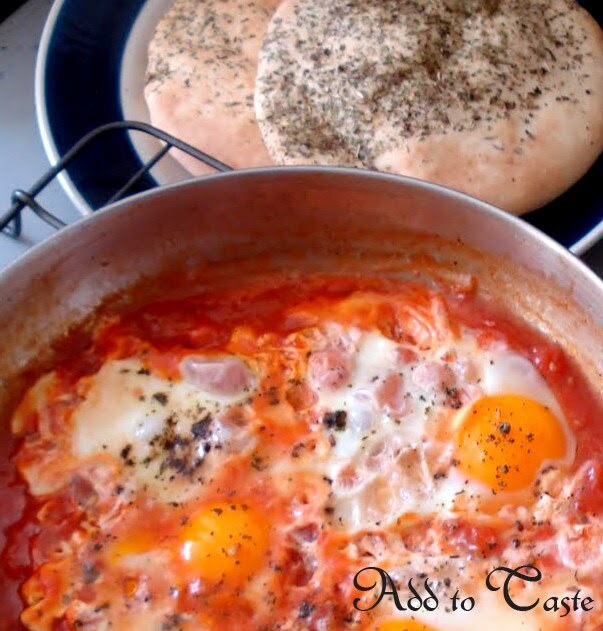 Add all the ingredients except the eggs and the za'atar/origano to the pan. Thank You for this. I have only had it once, when my cousin's wife made it and loved it. I plan to make it soon, although could you give me a fresh version?